Cinequest is well underway in San Jose with an insane array of movies to chose from. I tend to prioritize the premieres since you get the very rare opportunity of watching a film before anyone else. 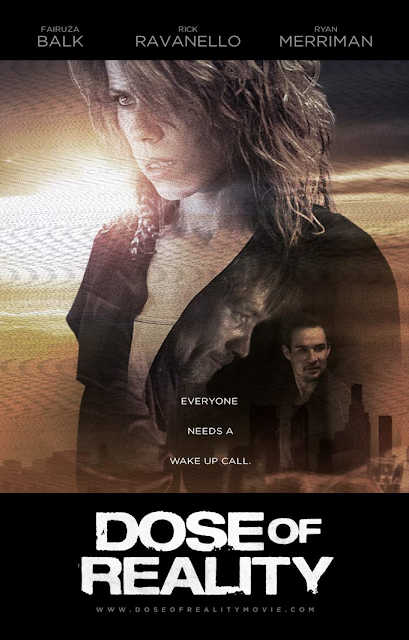 DOSE OF REALITY is one the films kicking off their world premiere at Cinequest, and the very first showing is tomorrow. More info below! Can you solve the mystery at CINEQUEST film festival? Get your tickets for DOSE OF REALITY the movie and give it a shot. We're proud to World Premiere at Cinequest. Film stars: Fairuza Balk award winning actress (Gas Food and lodging and The Craft), Rick Ravanello (The Cave), Ryan Merriman (Final Destination and soon to be released "42" starring Harrison Ford).